This was a really difficult category to choose a book for. 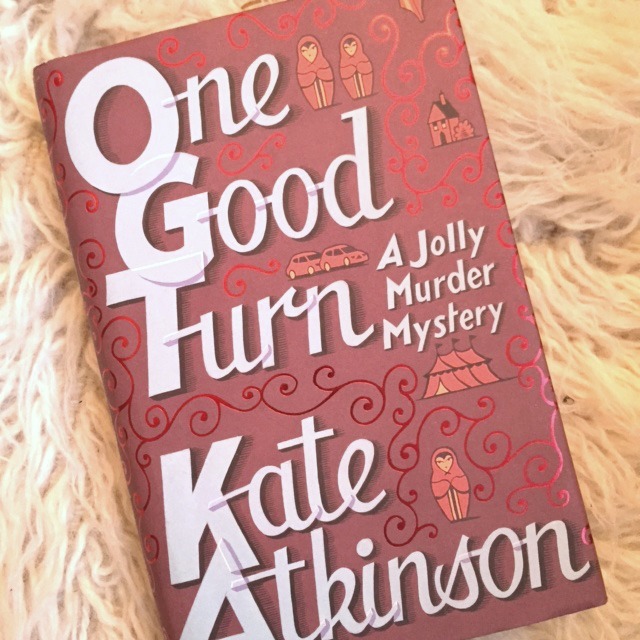 I looked along the shelves at home and there were so many I could have chosen but I decided in the end to pick One Good Turn by Kate Atkinson. It’s a crime novel – second in the adapted for tv Jackson Brodie series – but it’s so much more. Complex in its plot, rich in its characters, precise in its language, Stephen King called it “the best mystery of the decade”. One violent act of road-rage is witnessed by many and it’s implications and the resulting events spin out from that. Jackson Brodie is the main protagonist, but Atkinson tells the story from the point of view of a number of other characters. I’d love to have written this because it takes the familiar crime novel tropes, embraces some (Brodie drinks too much and has a very particular taste in music) and discards others, keeping only the ones she needs for her story and then executes that story beautifully. There’s a depth that seems effortless but obviously isn’t. Crime writing is often dismissed as somehow lesser but Atkinson reminds readers that it is more than just disposable holiday reading but rather a genre which reminds all of us of our own mortality and morality. If you haven’t discovered the Jackson Brodie series then go and buy Case Histories as soon as you can. And do leave a comment telling me which book you’d love to have written. This entry was posted in Random... and tagged Advent calendar, Kate Atkinson. Bookmark the permalink. Another one I haven’t read. You do realise I will topple off that stack of books I sit on?